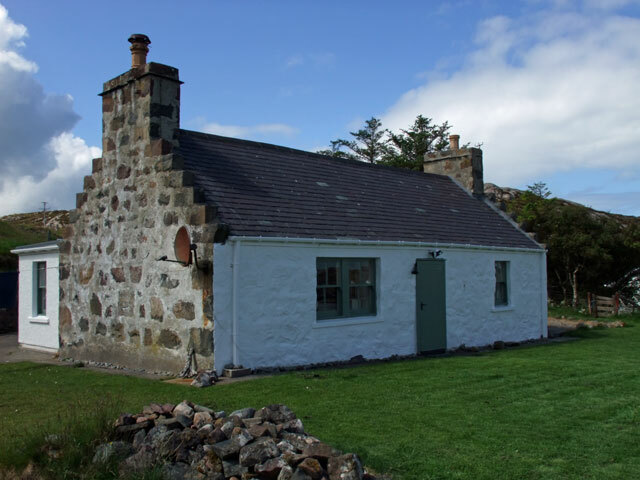 Christies is a traditional style property situated in a quiet location in the village of Scourie in North West Sutherland. 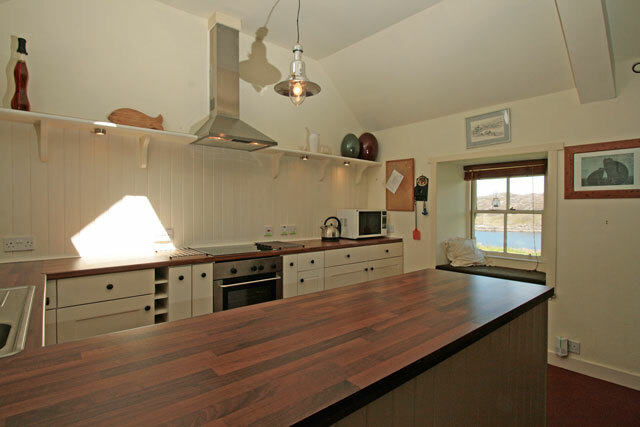 The property sits in an elevated coastal position overlooking Scourie Bay and its beach, both of which are just a few minutes’ walk down from the property. 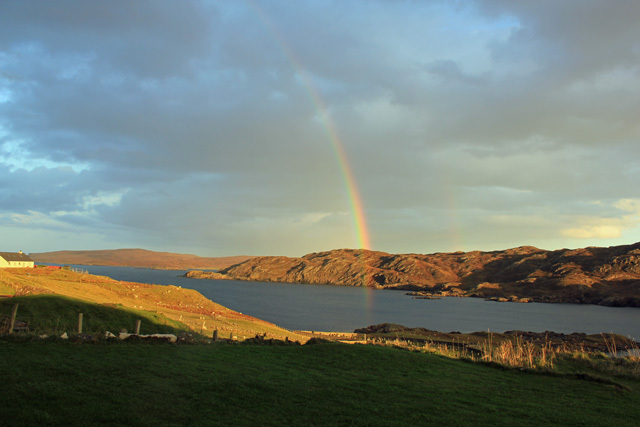 The coastline of this part of Sutherland is rugged and the scenery ever changing. The property is an ideal base to explore the area further and benefits from having village amenities close to hand. Inside and located to the front of the property the open plan lounge and kitchen is spacious and light, and enjoys views across the garden. At one end the lounge with its exposed stonework is furnished with an eclectic mix of modern and traditional furniture. 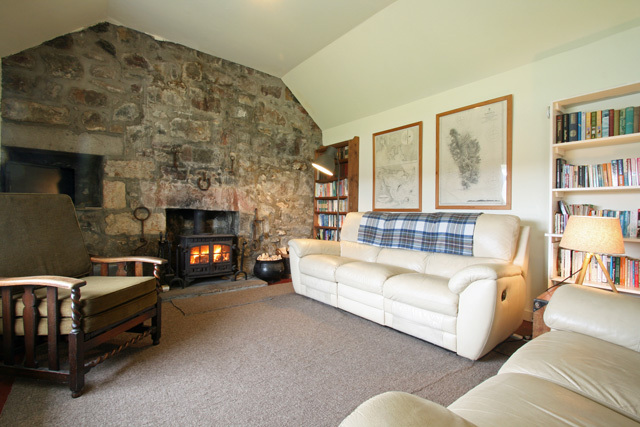 The reclining leather sofas and the wood burner, ensures that this room is perfect for an evening of relaxation after a day exploring. 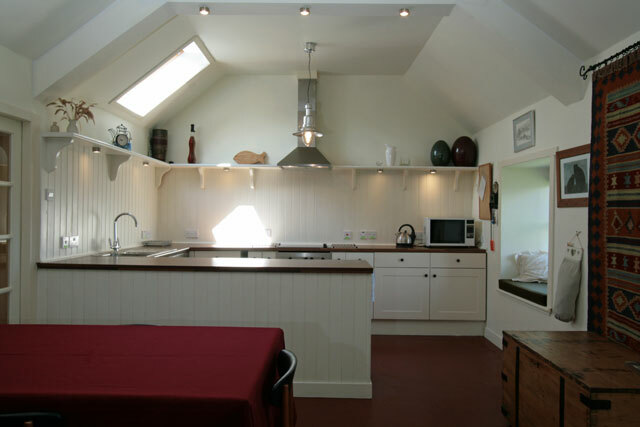 At the other end the kitchen is modern and well equipped and also has a separate dining area. Off the lounge a hall leads to the rear of the property and the bedrooms, a double and a twin, both furnished with traditional style beds. The bathroom has a bath with shower over and a separate cloakroom completes the facilities inside. At the rear of the property and accessed from the garden the owner has located a small external utility room with a washing machine and tumble drier. The garden has an area of lawn and then drops down towards the bay below. 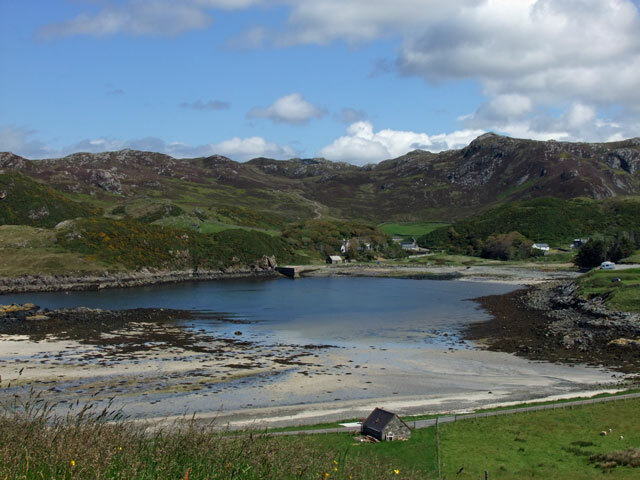 Scourie itself has a couple of small shops, a petrol station and a hotel. The bay below stretches northwest towards Handa Island, on the south side the sandy beach can be accessed by walking through the fields in front of the property. More views can be enjoyed by following the rough coastal path from the beach towards Rubha Shios, several cairns mark view points, including views towards Handa Island, and on a clear day the Old Man of Stoer is visible, as are the mountains of Ben Stack, Canisp and Suilven. Handa Island is a Reserve run by the Scottish Wildlife Trust. The island is home to many thousands of seabirds including puffins, guillemots and kittiwakes. From Tarbet a ferry runs daily allowing the visitor access to the island, please note that the ferry does not run on a Sunday. The island itself is rugged and popular not only for wildlife but also for wildflowers, archaeology and the coastal scenery, including the magnificent vertical sea cliffs that rise to a height of two hundred feet. Further north Sandwood Bay makes an ideal day out, the sandy beach is nearly a mile and a half long, and the beach must be one of the best in Scotland. What makes this place so special is that nobody can get to the beach without putting in some effort. 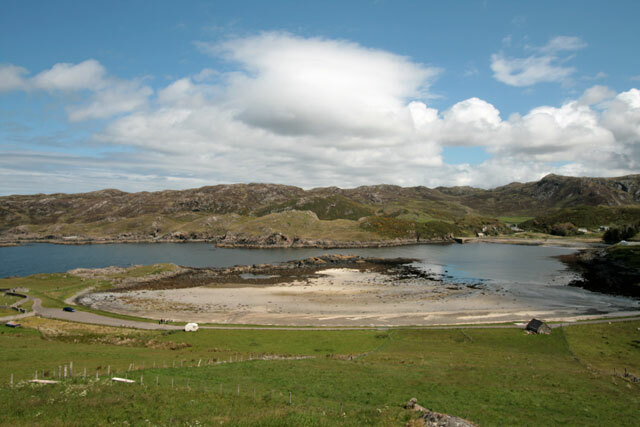 Only accessible by foot the beach is just over a four and a half mile walk from Blairmore near Kinlochbervie. Well worth the trip as the beach, sand dunes and views are simply amazing. 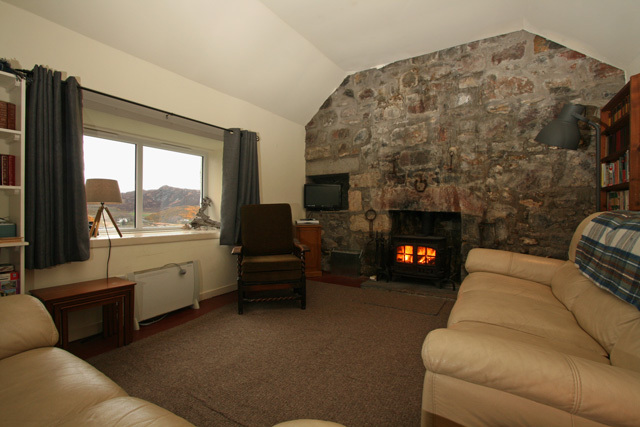 Lounge - leather reclining sofas, wood burning stove, digital Freeview TV, DVD, CD, Radio, selection of games and books. Modern fully fitted kitchen, halogen hob, electric fan oven, microwave, fridge, freezer, and a dishwasher. Bathroom - bath with shower over, wc, whb. Electricity and initial fuel for fire. Logs/coal can be purchased in the shop in the village. Due to the location dependant on the network mobile phone coverage may not be available. However we have been advised that the best network in the area is Vodaphone. Please note that due to various factors the television reception at the property can be intermittent, this occasionally means that the television does become unavailable. A filling station is available in the village of Scourie, open 24/7 the pumps are automated and accept credit and debit cards. 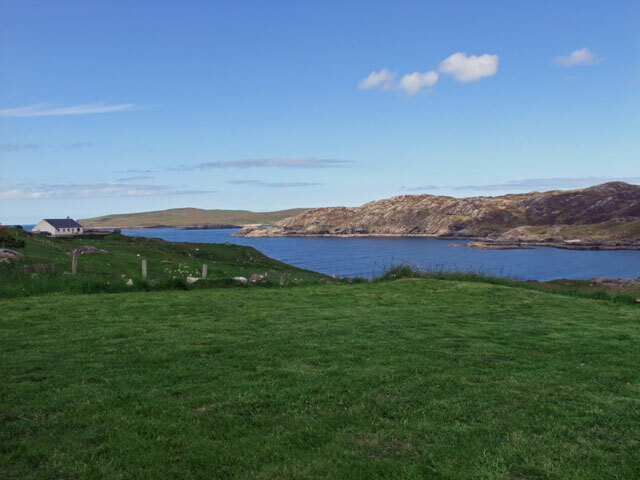 Two pets are welcome at the property, however the garden is not secure and as the house is situated in a crofting community there is the possibility that sheep will be in the garden and in the neighbouring fields. All dogs therefore must be kept on a lead at all times and not left unattended outside. Please do not let your dog roam it is dangerous and hill farmers take a dislike to dogs worrying sheep and they will take action to protect them. 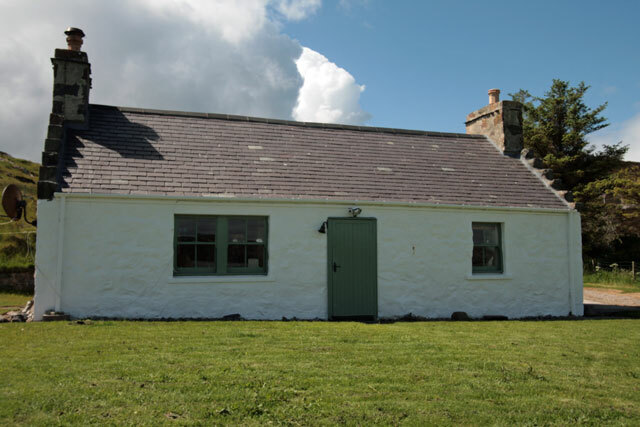 Traditional style crofthouse in fantastic coastal location. Village amenities close to hand. 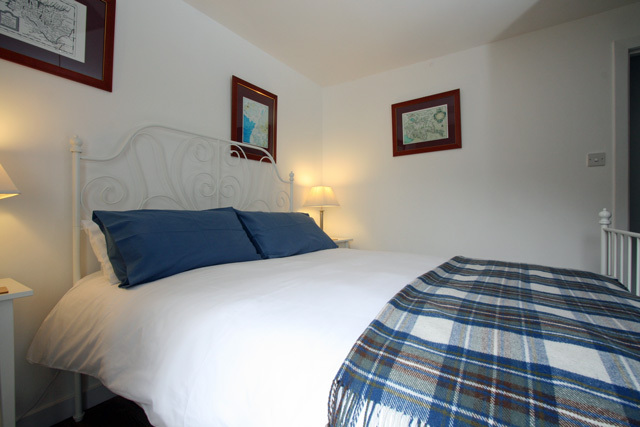 Really lovely property with everything you need to make your stay go smoothly. Excellent views from the lounge and very comfortable bed. Storage heaters help to keep you nice and warm and the log burner is an added bonus. Mice scratching around in the attic/walls were a distraction at first but they are kept out of the living area with sonic repellers and were not a problem. Would go back without hesitation. Christies is very convenient for the northerly Munros and Corbetts, low level walks, and exploring the north west coast. 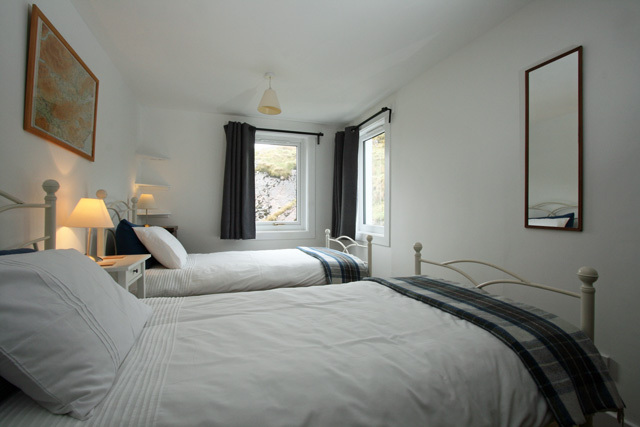 The cottage is in a superb position, with stunning views over the bay to local hills and mountains. It is comfortable and well equipped. A great place to stay! 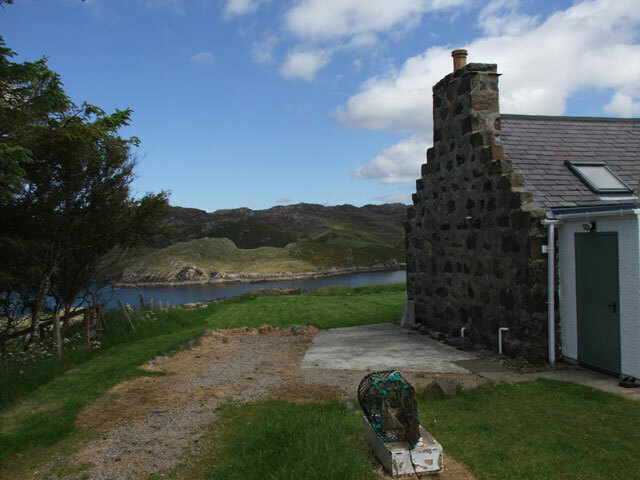 Very nice cottage, great location with fantastic views over the bay, and still handy for Scourie. Only negative is that there was no garden furniture to enjoy the fine weather and views. 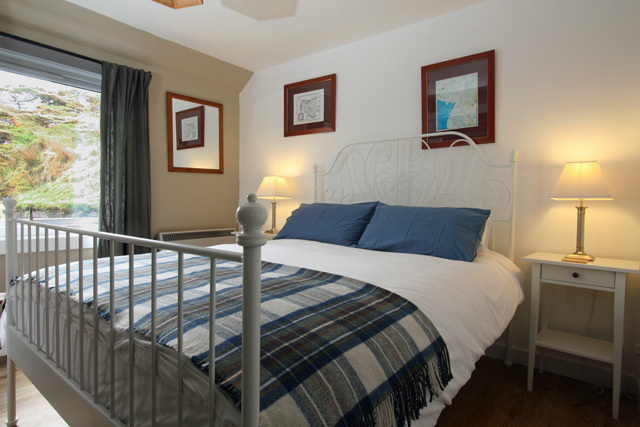 Christies is a great cottage, well appointed and well situated a short walk down to the beach and within walking distance (weather permitting) to the village which has shop/post office hotel with bar (welcoming with good food). 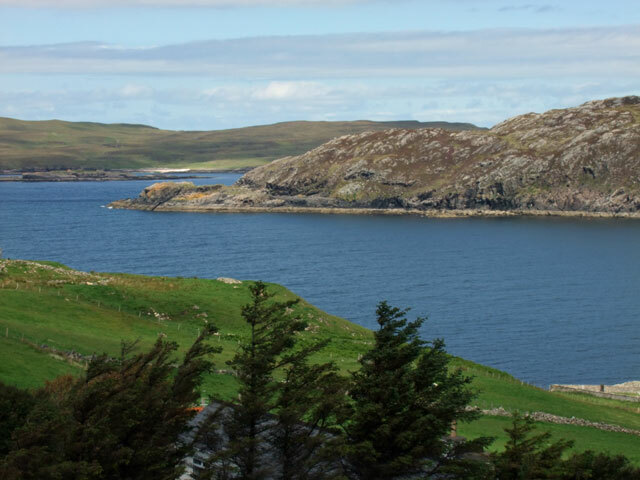 Well located for heading north (we went to Durness, Cape Wrath an Handa) or South (Inverewe Gardens, etc) Great wildlife on Scourie beach - summer plummaged divers, black guillemot, bonxie, iceland gull etc) and further afield saw otters and golden eagles.